I battle against my body. Life's journey with autoimmune diseases is unpleasant as the body attacks itself. The Sharp Syndrome – one more name in the list of autoimmune disorders. Though there is no permanent cure but with the help of herbs in Ayurveda, it is manageable. The sharp syndrome "Mixed connective-tissue disease (MCTD)" was firstly acknowledged by Sharp and colleagues (1972) in patients with the overlying clinical features of Systemic Lupus Erythematosus (SLE), Scleroderma, and Myositis. It is an autoimmune disorder in which our immune system attacks healthy cells by mistake. For the people having mixed connective tissue disease, Ribonucleoprotein (RNP) antibody is found in blood tests. 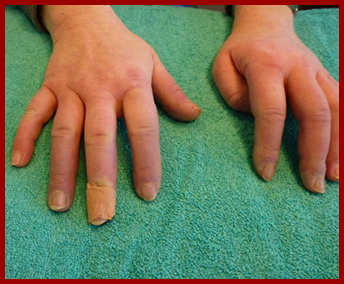 THESE ARE EARLY INDICATIONS OF THE SHARP SYNDROME "MIXED CONNECTIVE TISSUE DISEASE"
Raynaud's phenomenon - It is the condition in which fingers become pale, tingle, numb, blue, and white in response to cold or stress. Impairment of lungs functions like shortness of breath. If you've already been diagnosed with lupus or another connective tissue disease and there is impairment in daily routine work, then do visit your doctor. In every individual's body there are three doshas – vata, pitta and kapha which are in balanced state represent good health. But imbalance in any of three energies result in the diseases. According to Ayurveda cause of The Sharp Syndrome is increased vata dosha with vitiated kapha dosha. Cause of auto immune disorders in Ayurveda is lack of cellular communication or recognition. Interruption in communication is due to accumulation of ama (toxins) which is caused by the low agni (digestive fire). Hence root causes of auto-immune disorders are low agni and weak ojas. Ayurveda treatment emphases on restoring agni and ojas. Inherent properties of herbs are used to eliminate the toxins and improve the digestive fire. Herbs like Ashwagandha (Withania somnifera), Gotu kola (Centella asiatica), Shallaki (Boswellia curcumin), Haridra (Curcuma longa) help to boost up the immune system. On the other hand, they help in the removal of toxins (ama) from body. Ayurvedic treatment for The Sharp Syndrome is fruitful without resulting any negative impacts on health. 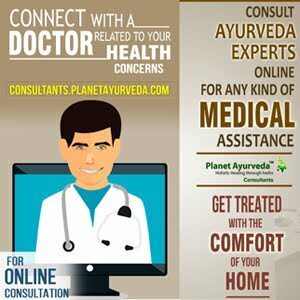 Planet Ayurveda's herbal remedies are an effective way to manage the symptoms of The Sharp Syndrome "mixed connective tissue disease". All the herbal products are prepared from the pure herbs and completely safe for the use. Ashwgandha (Withania somnifera) is considered as potent herb in Ayurveda. It is rejuvenating herb which helps to strengthen the muscles and bones. Use of this herb is quite good to treat the rheumatoid arthritis. Use of this herb is quite good to manage the symptoms of The Sharp Syndrome "mixed connective tissue disease". Anti-inflammatory properties of this herb are quite good to provide relief in inflammation and pains in joints. Use of this herb is also good to improve the functions of lungs. This herb also helps to boost up the immune system. These capsules helps to manage the symptoms associated with sharp syndrome like increased fatigue, mild fever, joint inflammation (arthritis), swollen hands, and Muscle weakness etc. DOSAGE – 1-2 capsules daily two times with water after meal. Gotukola capsules is also an effective Ayurvedic treatment for The Sharp Syndrome by Planet Ayurveda. These capsules are procured from the pure extracts of herb Gotu kola (Centella asiatica). Blood detoxification properties of this herb help in the removal of toxins (ama) from the body which is root cause of The Sharp Syndrome "mixed connective tissue disease" in Ayurveda. This herb also helps to improve the blood circulation. DOSAGE – 1-2 capsules, twice daily with water after meals. Boswellia Curcumin is a combination of pure extracts of two herbs - Shallaki (Boswellia curcumin) and Haridra (Curcuma longa). This herbal product is quite good to manage the symptoms of Sharp syndrome. Boswellia Curcumin Capsules are very beneficial to provide the relief in anti-inflammatory and painful conditions (arthritis) in sharp syndrome. Besides of this, these capsules help to improve local blood circulation and flexibility of joints. Shallaki (Boswellia Curcumin) - This herb has the great medicinal importance in Ayurveda. This herb is packed with boswellic which help is quite effective to reduce the inflammation and pain in arthritis. Boswellia resource of anti-inflammatory and anti-arthritic properties and is effective in reducing joint swelling, arthritic pain and morning stiffness and increases the mobility. Haridra (Curcuma longa) - Curcumin is the bioactive compound present in the haridra which has the anti-inflammatory properties. Anti-inflammatory and blood purification properties of this herb are effective to manage the symptoms of sharp syndrome like mild fever, joint inflammation (arthritis), swollen hands, and Muscle weakness etc. Blood detoxification properties of this herb help in the removal of toxins (ama) from the body. DOSAGE – 1-2 capsules daily for two times with water after meal. Green essentials is an amazing blend of various herbs to manage the symptoms of sharp syndrome. Herbs used in the formulation of herbal product are packed with immunity enhancing properties. Use of this herbal is quite effective to combat the symptoms of sharp syndrome. It helps to maintain the strength, energy in body. This herbal product is prepared by the combination of various natural ingredients like Swarna Bhasma, Rajata Bhasma, Abhraka Bhasma, Loha Bhasma, Pravala Bhasma, Mukta Bhasma and Suta Bhasma. All the natural ingredients used in the formulation of Vrihat vatchintamani ras are good to manage the symptoms of sharp syndrome. It helps pacify the increased vata dosha which is cause of The Sharp Syndrome "mixed connective tissue disease". DOSAGE – As advised by the physician. Swaran bhasam is a beneficial Ayurvedic treatment for The Sharp Syndrome by Planet Ayurveda. This ayurvedic formulation is prepared from ash of gold (calcined gold). It is complete safe ayurvedic medicine and free from any impurities. In sharp syndrome, it balances the vata doshas. It also helps to boost up our immune system and manage the symptoms of this disorder. Along with taking above mentioned herbal medicines, develop a positive attitude toward the life. "A positive attitude creates the more miracles than any wonder medicine"
How To Detox Your Kidneys Naturally?